We grow 80 per cent of our plants in 50,000 square feet of greenhouses on the premises. We take great pride and care in growing and maintaining our plants from the time we sow the seeds until they leave our store. Our professional, experienced staff are committed to assisting our customers with all aspects of gardening – from planning a garden to offering suggestions for certain soil or light conditions to advising on proper care and maintenance of your lawn and garden. With our expertise and your ideas, we aim to be your partner in your gardening success. 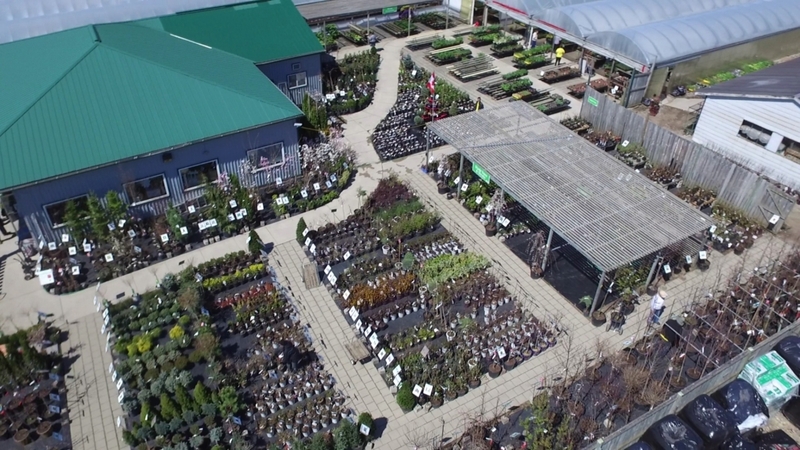 The breadth and depth of product that we carry is extensive, offering our customers a huge selection of both traditional and unique varieties of plants and nursery stock. Each season we research new products and update our product selection to ensure our customers have access to the latest and greatest offerings on the market. We pride ourselves on having over 30,000 square feet of retail and nursery area with clean and well-maintained concrete walkways throughout for ease of travel. There is ample paved parking with overflow areas during the peak periods. Our store is wheelchair friendly.